The Council for Economic Opportunities’ Head Start classrooms have new technology to share with students this school year, thanks to a partnership with PNC Bank. The first day of school is next week Tuesday, September 6. PNC donated a total of 42 iPads, cases and iTunes gift cards to the Council’s Head Start centers. 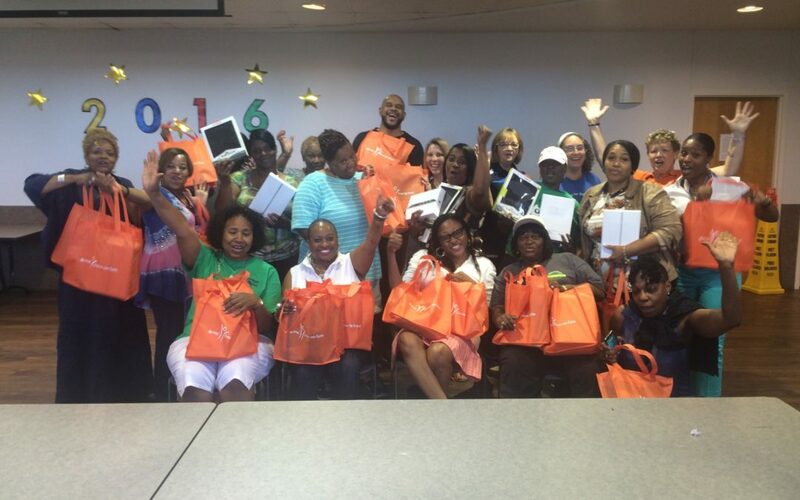 Each center received a set of three iPads, cases and gift cards to use in its classrooms. The donation was made possible through a peer-to-peer employee recognition program at PNC. The iPads were donated during a recent meeting of the Council’s Site Administrators. Clark said the employees’ reactions made the partnership even more special. The staff will use the iPads to supplement learning at each of the Council’s 14 high-quality Head Start centers, allowing the students to integrate the technology into their daily lessons. Thanks to everyone at PNC for the donation!